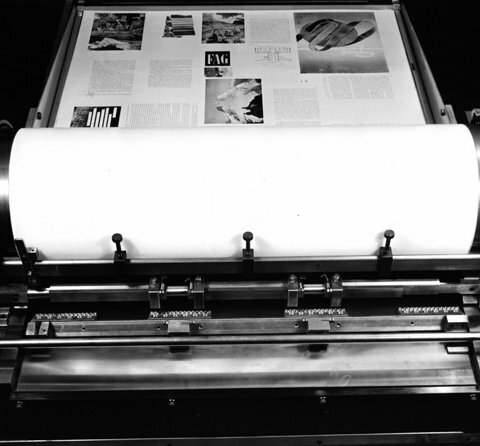 ‹The newly designed proof and test press with same gripper and print line as the production presses of similar size. 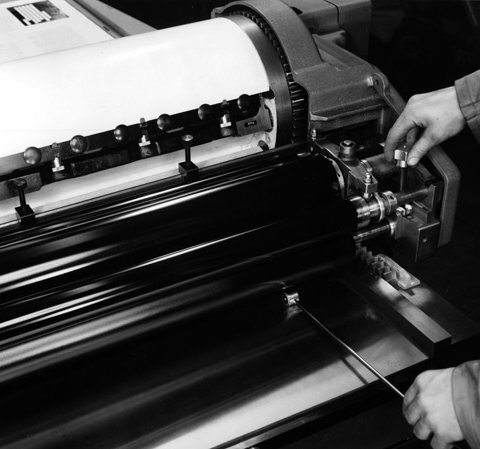 A machine which allows proofing and testing of formes and plates und working conditions, in particular — printing strength, print line and ink coverage. 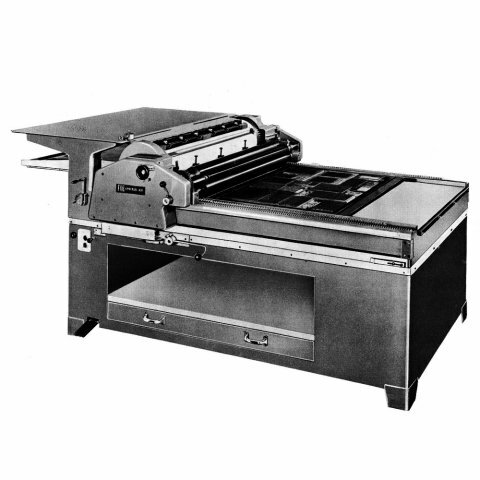 The ideal proof press for any printing plant, photo-engraver and platemaker. › Quotation sheet, late 1950ies. FAG Control 835 from a 1959 catalog from the manufactury in Singen, Germany. Original advertisement photo from the late 1950ies. 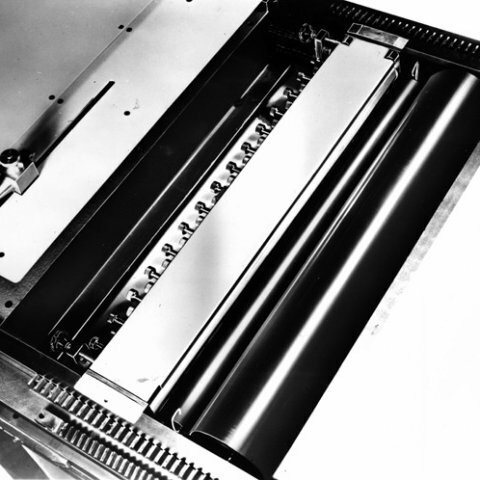 Top view with removed rollers and ink distribution. Original advertisement photo from the late 1950ies. Ink duct with distributor ES. 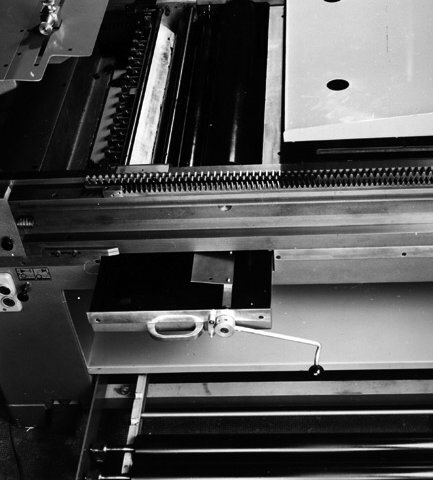 Notice the slanted gear rack which was common with Korrex presses, but not so usual with FAG presses. Original advertisement photo from the late 1950ies. Roller adjustemen. Original advertisement photo from the late 1950ies. Washup device. Original advertisement photo from the late 1950ies. This press has been manufactured in Singen, Germany until 1962. 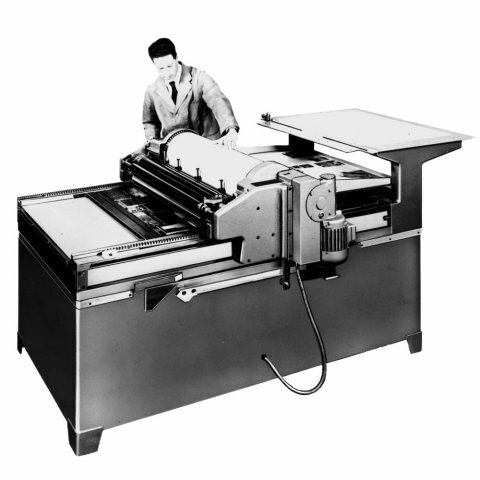 Then they switched the production manufactury from Singen to the brand new manufactury in Avenches, Switzerland in 1962. Only after 2 years of manufacturing the FAG Contol 835 in Avenches, they developped it in to the slightly bigger FAG Control 839.